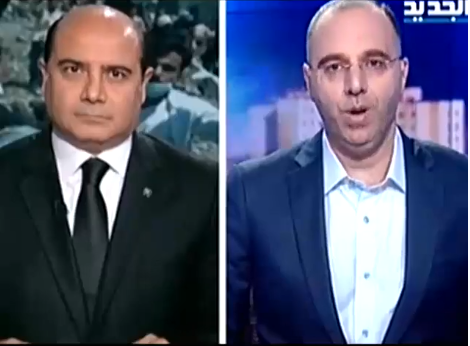 Lebanese TV channels are often at war with one another and the battles go far beyond ratings. They range from routine verbal insults and propaganda attacks to actual war as some channels were physically shut down during the 2008 clashes between rival forces allied to various stations. 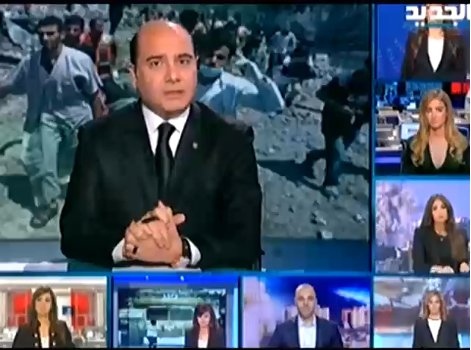 That’s why it was really surprising to see all 8 Lebanese channels united in a call for solidarity with the people of Gaza, with nearly 600 now killed as a result of Israeli bombing, shelling and neighborhood pulverizing. The broadcasters aired coordinated video packages and read a poem by Palestinian poet Mahmoud Darwish. 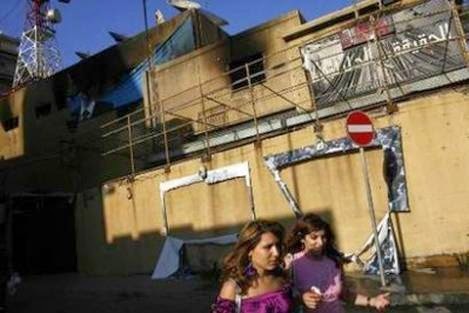 Future TV was actually burnt and shut down by supporters of Al Manar during the 2008 Beirut clashes, as I reported for Variety at the time. Burnt Future TV offices in 2008. Photo: Menassat. 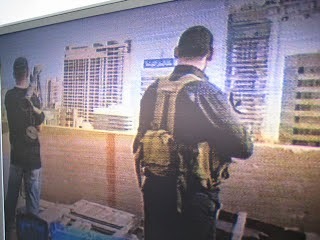 Gunmen with Amal, which is associated with NBN TV, take over Future TV offices in 2008. See full post. Watch yesterday’s rare joint solidarity broadcast here.